If I Own Rental Properties, Can I Still File A St. Louis Bankruptcy? Yes, it is possible to keep all of your rental properties when you file a St. Louis bankruptcy. But there are several things you need to know about this before you do anything. When you file a Missouri bankruptcy, you have duty to disclose to the court all of your assets (real and personal). This obviously would include any rental properties that you own. But the main question is this: what is the fair market value of the real estate? Because if there is a good deal of equity in the property, then it can have implications for the type of bankruptcy you end up filing. So let’s say for instance that you have two rental properties. One of them has a mortgage loan against it, and balance is $100,000. But the value of this property is closer to $75,000. In this scenario, the house is described as “upside-down,” or “under water”. In other words, there is no equity in the home at all (if you tried to sell the property, you would lose money). Assuming these numbers are correct, then there is nothing that the Bankruptcy Trustee can do about the property. If you filed a St. Louis Chapter 7, you could simply reaffirm the mortgage, and continue making regular monthly payments to the bank. But now let’s assume that the second property you own is paid-in-full (in other words, there is no outstanding mortgage or lien encumbering the property). And let’s further assume that the fair market value of this particular rental property is $50,000. That means that there is roughly $50,000 of equity. In this type of situation, the Trustee would start rubbing his hands together, and licking his lips. Because if you were to file a Missouri Chapter 7 with such a property, the Trustee would undoubtedly want to liquidate the property, and use the proceeds to pay towards your unsecured creditors (credit cards, medical bills, payday loans, etc). In order to avoid losing the asset to liquidation, many people in this kind of situation will instead opt for a St. Louis Chapter 13. A Missouri Chapter 13 is described as a repayment plan over the course of three to five years during which certain debts are paid back. In a Chapter 13, the Trustee cannot liquidate the rental property with all the equity. But he can demand that you guarantee the $50,000 of equity to your unsecured creditors as part of your repayment plan. This would mean that you would have to pay back at least 50K of your unsecured debt in the fact scenario laid out. Whatever the situation may be in regards to the value of your rental property, it is always a good idea to get the advice of a trained professional attorney with a great deal of experience in the area of bankruptcy. 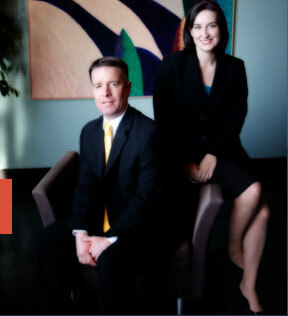 The affordable St. Louis bankruptcy attorneys at Brinkman & Alter, LLC have been helping people with their financial issues for over ten (10) years.